The Combat Group is essentially a portal, or doorway which, hopefully, sets the scene and introduces people to the three martial arts and personal combat/self defense Associations that make up the Group, together with the key features, benefits and resources that are common to how all operate. The Combat Group was established in 2016, but its founding Association, the British Combat Association (BCA), is now in its 25th year and it was on the back of the tremendous success of the mould-breaking BCA that its world-wide version, the World Combat Association (WCA) was formed in 2008. The third member of the Group established in 2011 is the British Combat Karate Association (BCKA), a Karate and Kickboxing oriented organisation, itself a member of the English Karate Federation (EKF) and Scottish Karate Governing Body (SKGB) . To say the establishment of the BCA was groundbreaking is no exaggeration and no other practical martial arts organisation had as much impact in addressing the need for an organisation to promote the ‘real-world’ self defence and personal combat issues, and the role of traditional martial arts effectiveness in this arena. 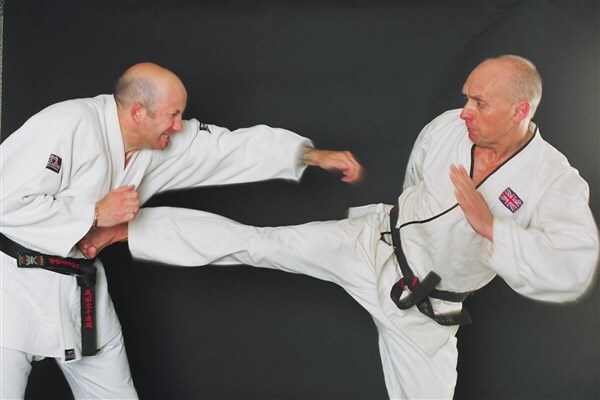 Both Peter Consterdine and Geoff Thompson understood better than most, having been at the sharp end of personal combat as well as high level martial arts, that there needed to be a very unique approach to how traditional martial arts and real combat had to be melded together - expressed uniquely in their respective books, videos, articles and seminars. Over the intervening years we have been copied but never bettered and with the overriding philosophy that the BCA would be a ‘politics free zone‘ we attracted not just the more modern combat oriented Instructors and clubs, but a whole range of traditional martial arts Instructors who had reached a brick wall with their existing organisations. That same ‘light touch‘ approach exists today and sets us apart even from those organisations who supposedly promote openness and no interference, but in reality are damned with the same heavy handed control. For many years we resisted the demands for overseas clubs and Instructors to join the BCA as we were UK focussed, providing support and resources to a domestic market - not least a comprehensive range of insurance products, not available to overseas Instructors. However, in 2008 we established the WCA, specifically to provide an international BCA ‘mirror’ organisation to satisfy the worldwide interest in what we do. Our international Coach for the WCA is Iain Abernethy who teaches delivers seminars around the world and who is our physical link with our overseas members. It is through the WCA that the Combat Coach programmes are delivered and recognised, and through which we licence overseas groups and Instructors. Because of mine and Geoff’s backgrounds in Karate, we had always attracted a Karate membership to the BCA, but at inception of the group and given the multi-style nature of the BCA, membership of a specific martial arts governing body was never on the agenda, but we recognised that there was a requirement within our Karate membership for access to recognised, international competition. In 2011 therefore we established the BCKA, registering with the EKF in England and the SKGB in Scotland, so providing a home for Karate Instructors and students to have access through the various associated British, European and World governing bodies, for students to compete up to, hopefully, Olympic level. If your group is Karate based it may, therefore, be of more specific interest to look at membership, in the first instance, via the BCKA, particularly if you want your students to be members of the English and Scottish governing bodies - the English Karate Federation (EKF) and the Scottish Karate Governing Body (SKGB) respectively. Dual BCA/BCKA Instructor membership is available, so call to discuss how this operates. Whether your interest is in competition, be that traditional japanese systems, or more full contact MMA, or self defence such as Krav Maga and modern combatives, we have a resource and support network for everyone. "I was very honoured to become a member of the British Combat Association and have been part of this professional body for several years now. The decision to join was not difficult given that both its founders and several of its other members were huge inspirations in my own martial arts development. The decision to stay with BCA has been without question. Despite remaining firm in keeping its own standards of professionalism and integrity, and having an obvious clear stance on martial arts pragmatism, the BCA has that rare quality of cutting through a lot of martial arts tribalism. Its key members and founders have become people I am proud to call my friends. Whenever needed I have been able to call upon their help and support. I am grateful for the BCA's kind support, promotion and the advice they have given me throughout my career running a club, and later as a martial arts/self-protection personal trainer and as a writer." Jamie Clubb - Clubb Chimera Martial Arts & author of "Mordred's Victory" and the upcoming "Bullsh*tsu and the Fight to Make Martial Arts Work"